Brent Redmond Transportation - The Marketing Department, Inc. 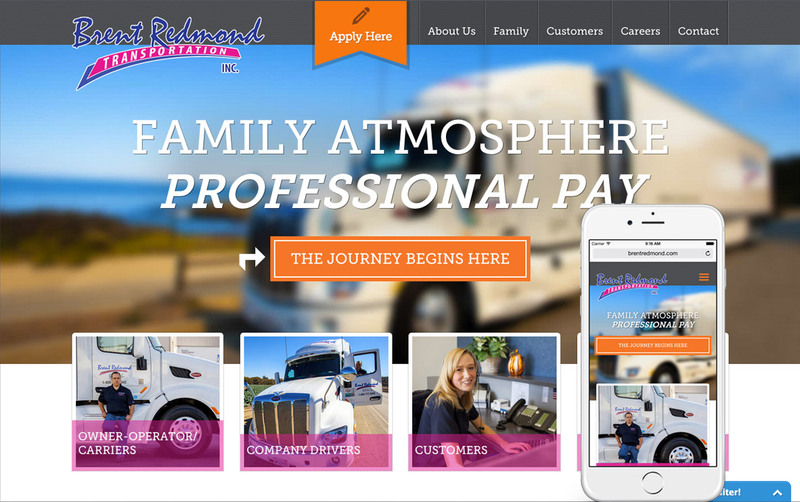 This web project was for refrigerated transportation company Brent Redmond Transportation, or BRT, and for Brent Redmond Logistics. This company employs owner-operators and company drivers to ship fresh produce across the Western United states. As anyone in the trucking industry knows, finding new drivers is very difficult. This site is a resource for customers, and focuses on marketing Brent Redmond as an excellent place to work. TMD and the drivers there will attest to that! BRT has utilized this website to increase their opportunities, while growing the number of drivers on their team.